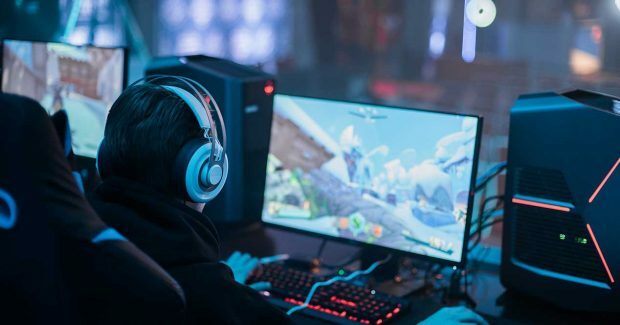 Whether you’re someone who goes searching for the latest and best gaming apps, you’ve got a hot-wired PC, or you’re an avid console gamer, what unites the gaming community is the quest for engaging, thrilling and memorable games. Shooters to racing games, world-builders to RPGs, we draw the same sense of fun and adventure from games as we do in real-life pursuits and activities. This article details a few ideas for activities that will appeal to the passions of gaming fans and their friends, creating new memories outside of the normative gaming world. This one is for anyone who’s been obsessed with their k/d ratio on Call of Duty; those people passionate about first-person shooters. Perhaps most analogous to Battlefield games due to your ability to respawn and the grand-scale tactics that you’ll need to use to storm an enemy base, plant a bomb, or capture a flag, paintballing or laser tag taps into that wonderful war-zone feel. It’s the perfect way to bring your COD clan into action in a real-world activity with so much to offer. Consider yourself a Mario Kart aficionado? See if your skills translate into the track by getting your gang off the Nintendo and down to your local go-karting track. There may not be any banana skins, but you’ll feel the thrill of adrenaline and thrilling speed while taking on the pals you’re used to cleaning the floor with online on racing games. With time trials, heats and races included in most days on the track, you’ll be able to track your lap times in this most memora-ble, exhilarating and healthy of sports. If you’re more of a strategic, puzzle and mystery gamer, solving riddles to progress through lev-els, then the Escape Room Atlanta will be right up your street. In facilities like these, you’ll be locked into a room for an hour or more to solve a series of cunningly difficult clues that will lead to your escape – whether it be from intoxication through radioactive clouds or murder through a criminal on the loose. Against the clock, you and your pals will have great fun taking those console skills into a new environment. You don’t need to join a professional soccer team to channel your inner FIFA or PES player, nor join a golf club to take your Wii Sports golf swing onto the fairway. Whatever sport you enjoy competing in online or on your console, why not organize to have your pals create a casual team or weekly game? Whether it’s tennis, bowling or football, sharpen up your skills, and take what you’ve learned about the intricacies of the sport onto the sports field with friends. It doesn’t particularly matter what level of ability you all perform at; you’ll find that getting out and active will inform your gaming style and vice versa, and it’s a great way to see your friends in action too. Gaming mimics real-world pursuits, so why not take yourself out and give some of them a go with these handy tips!